Sending Eshareh’s greetings to Christian clients, friends, and colleagues. With happy-new-year greetings, we intended to send our message of celebration and happiness for the renewal of good events to our Christian colleagues. 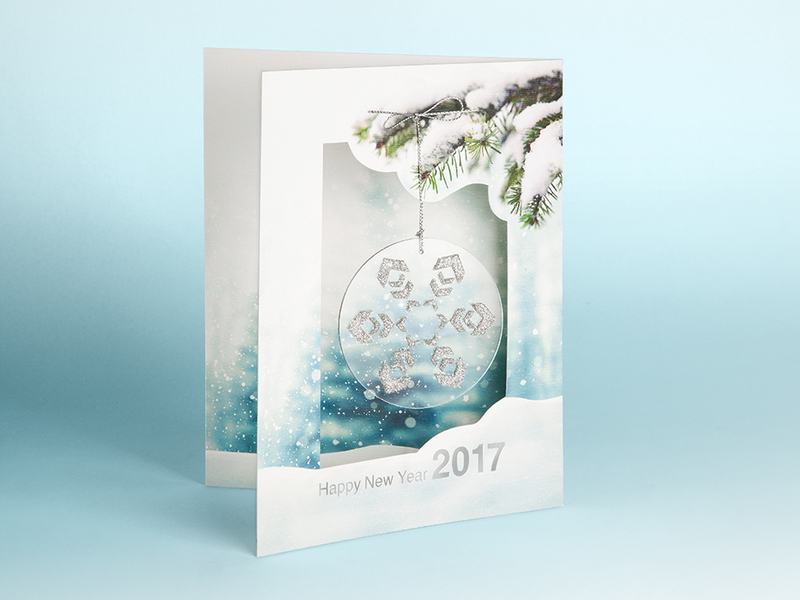 For this, the process of developing ideas for designing a card was undertaken with the collaboration of creative and graphic studio teams. 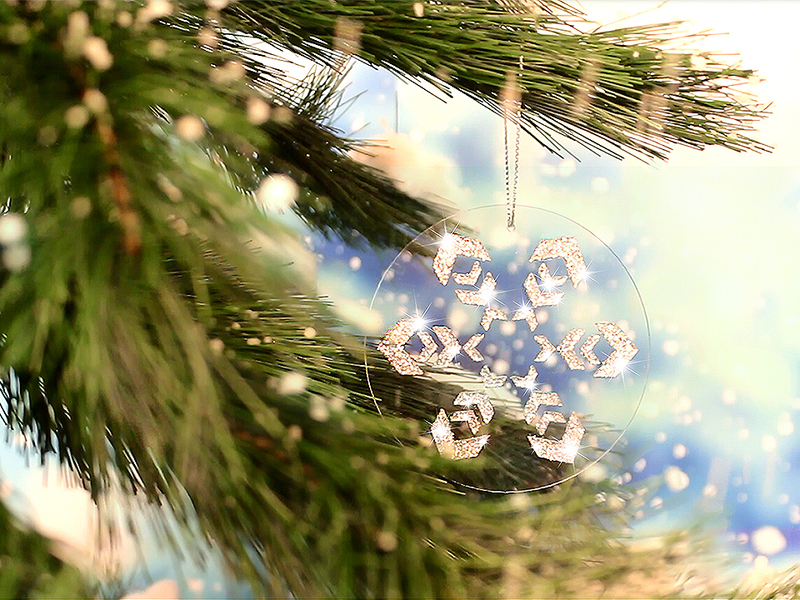 The main idea was formed by making use of key elements and symbols in Christmas: tree decorations and snowflakes. 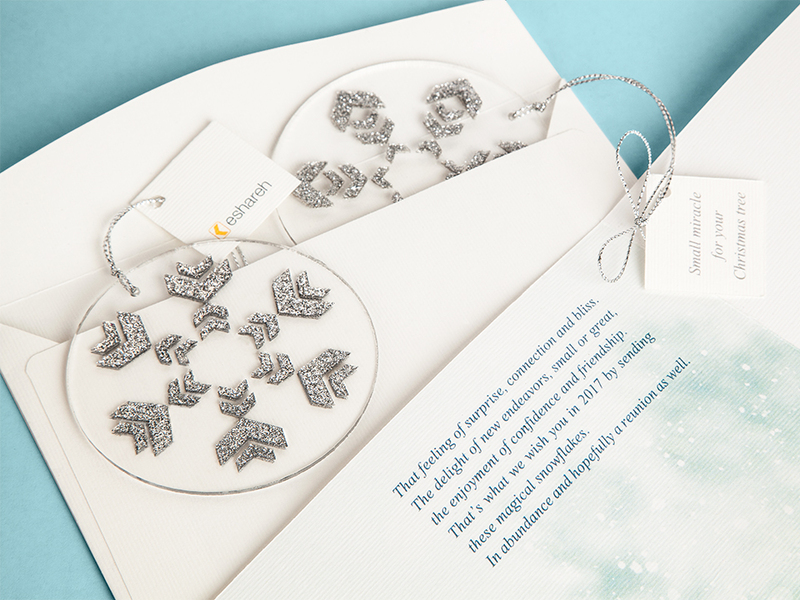 Thus, using Eshareh’s logo, bright and shiny snowflakes were designed as signs promising good days in the future. 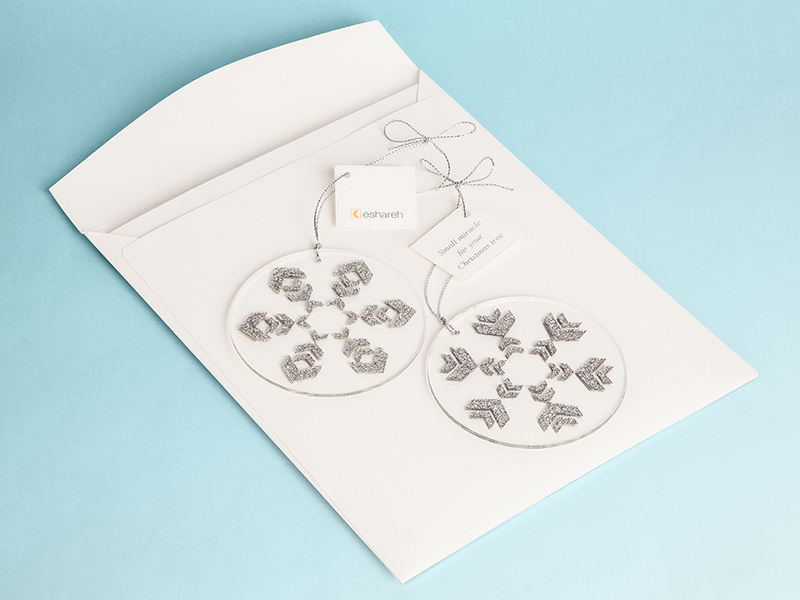 In addition, two symbolic snowflake-shaped ornaments were delivered as gifts. Our Christian colleagues decorated their trees with these ornaments and took home these miracles of beauty and joy for the new-year celebration.